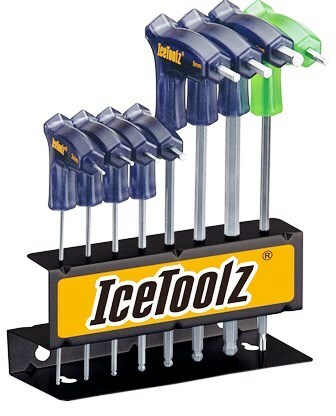 IceToolz TwinHead Wrench Set 2-8mm & T25. Contains 2 x 2.5 x 3 x 4 x 5 x 6 x 8mm hex key wrenches(ball ended) and T-25 star wrench. IceToolz Multi Tool Set "Reserve-16"